Welcome back from the weekend, gang! Hope this post finds you well and rested on this Monday morning! This was a pretty busy weekend for me. I had to travel a couple hours this weekend for class. As you know, I'm currently getting my master's and for this particular class we had to all meet in one location. Normally, the classes are broadcast to various sites. It was actually quite enjoyable! Yesterday I went to church and then went out with Dana for a while. We did a little browsing and shopping- perfect for a rainy day in VA. Here are a few things I picked up during my outing! I picked up this set of four OPI minis in the Swiss Collection (Irre-Swiss-Ables). I've been craving a really great taupe polish lately and found it yesterday, too, at the same store. Do you love the dollar section at Target as much as I do? Look at these darling 'Fancy Nancy' stickers I picked up yesterday! They're going to be the perfect touch for cards that I send! Jaclyn from Faith Hope and a Little Love tagged me in another round of '8 Questions.' What better way to start this week than with some random facts? 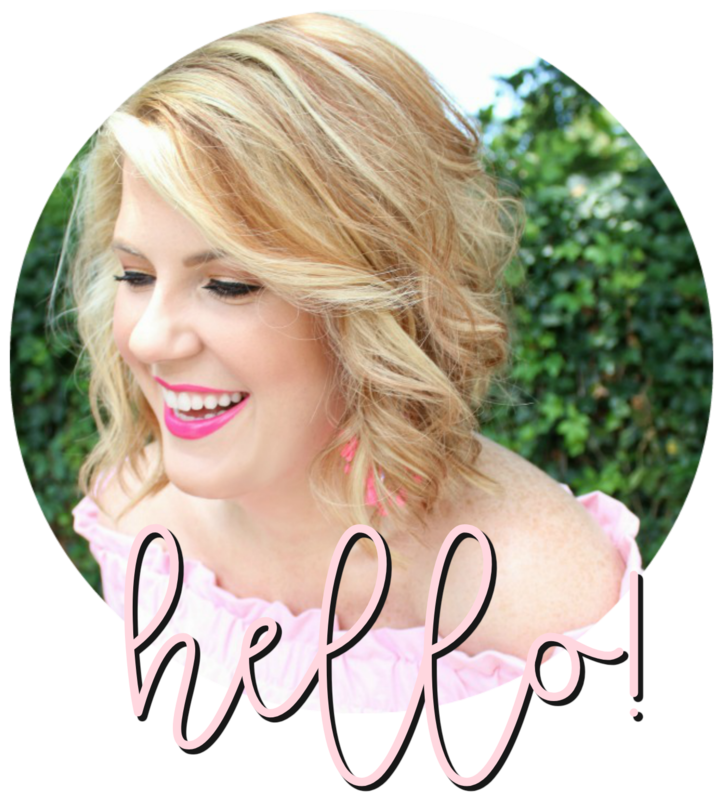 Jaclyn is fairly new to the blogging world, and I would love for you all to go over and visit her! 1. If you could go back to school, without money being a factor in your decision, what would you study? ....magazine editor. You all know there is no one that loves fashion and photography more than this girl! My second choice? Professional blogger, of course. I answered this one before. Clearly, dogs. 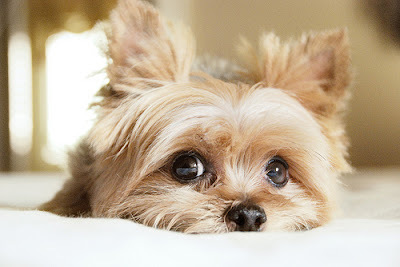 Yorkies to be exact! 3. How many pairs of shoes do you own, and which ones are you absolute favorite? These are so flattering! And the bow?? Eeee! I've had these red slingbacks since high school. They are absolutely my favorite shoes ever. 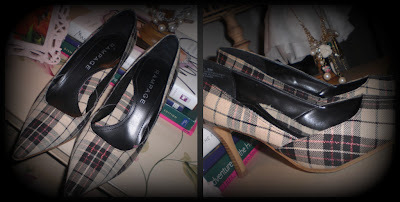 I found these 'Burberry' plaid pumps at Rack Room Shoes. Aren't they adorable? The cutest thing I've ever seen at Wet Seal! 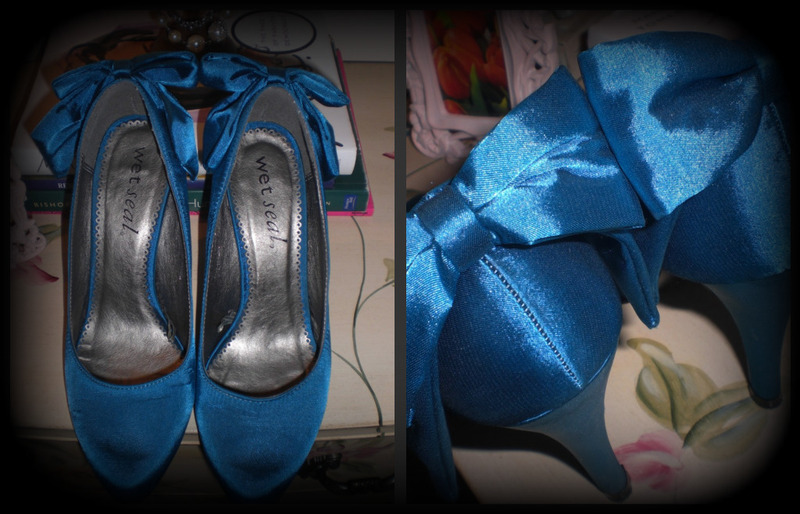 I wore these with a black, strapless dress back in January to a school gala. I think everyone needs some leopard-print shoes. 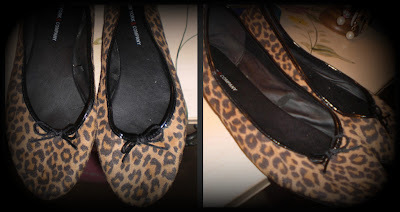 These flats are so versatile, I wish I'd bought two pairs for the price! 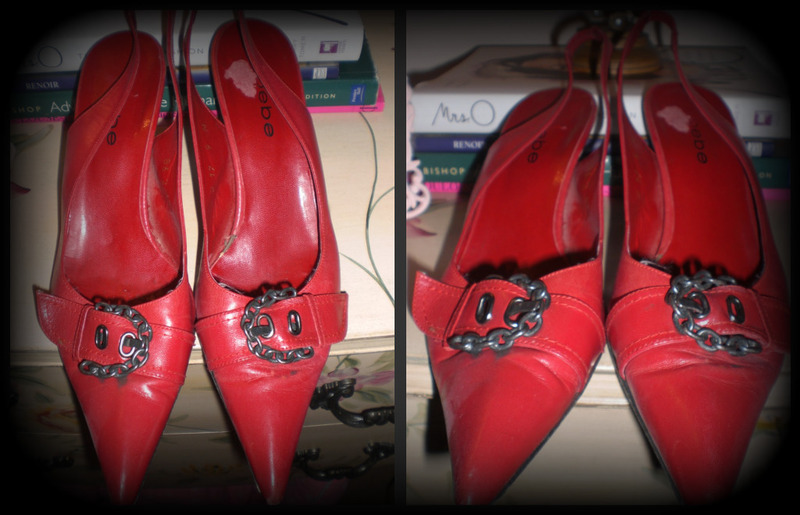 My favorite 'fancy' shoes. 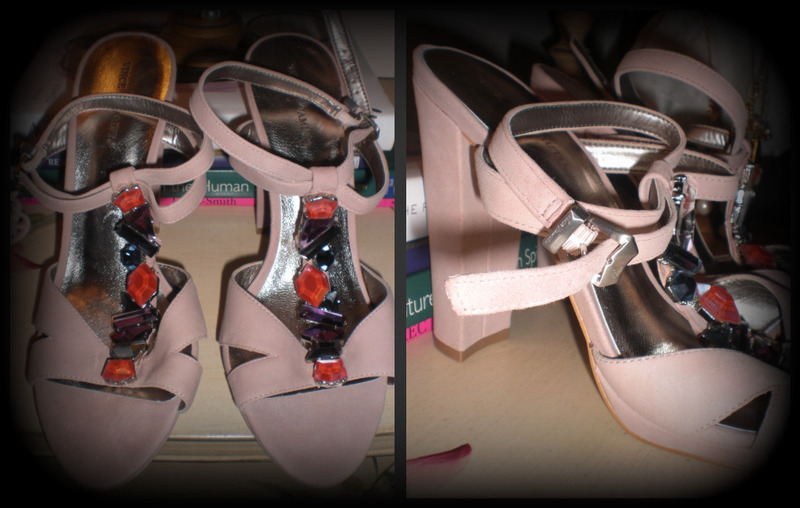 The color, the stones, the heel, everything is just perfection. 4. What’s in your purse – right now? New purse from TJ Maxx in my favorite color right now- taupe! Lots of pink, are you surprised? Leather Coach bag that I use for tons of things- Tide Pen, mini hair brush, bobby-pins, etc. Vera Bradley case that I use for my lipgloss, compact, etc. 5. 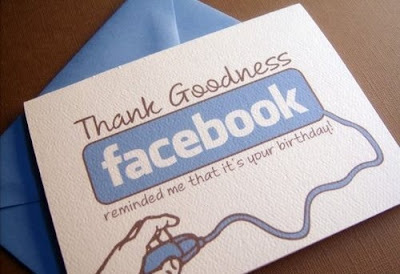 Be honest: How many times a day do you check Facebook? Not as much as I used to! Maybe a couple times a day? 6. What is the farthest place you’ve traveled outside of your hometown, and why? 7. If you had to limit your beauty routine down to only 2 things, what would you keep? 5. 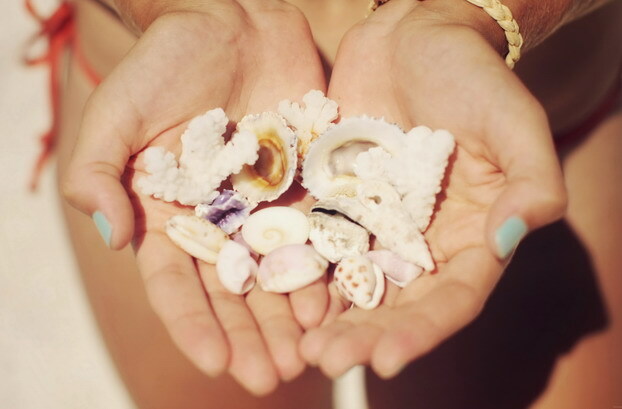 Tell us something you collect. I hope you'll play along girlies!! Happy Monday, everyone! Let me know how your weekend went! love your new bag, beautiful color!! Good morning pretty girl! Love your nails! Ohhh and your new bag is precious! Love how bright and organzied the inside is-- maybe that will be the inspiration I need to fix mine up :) Hope you have a great day!!! I'm gonna have to pickup a bottle of that polish! Have a good rainy Monday! Love those OPI colors I am a sucker for gorgeous OPI colors! Happy Monday to you, darling!!! Life is finally starting to settle into a somewhat normal state here in NY, but you're right, this time of year just always feels crazy busy. I will never complain too much about being busy though, because I'd rather that than the alternative. I love the "Over the Taupe" and also love the minis...if I could change my profession I would want to be a nail polish color namer! Haha! Have a wonderful day today, and if it's rainy there like it is in New York, stay dry, my dear!! PS: I have those nautical Gianni Bini heels as well, and I l-o-v-e them. So fun! How sweet of you! Thank you for tagging me! I'm writing my post right now! Have a fantabulous week lovely! I love the nail polish! Taupe is so nice... and I hear John Legend playing... LOVE HIM! I'm rocking a deep navy blue polish as of late - it's not quite goth, but not quite girly... just perfect! So good to learn more about you! :) Mascara + red lipstick are definite musts :) Happy Monday, Julie! My mama and I are way addicted to the dollar section at Target. It's ridiculous! 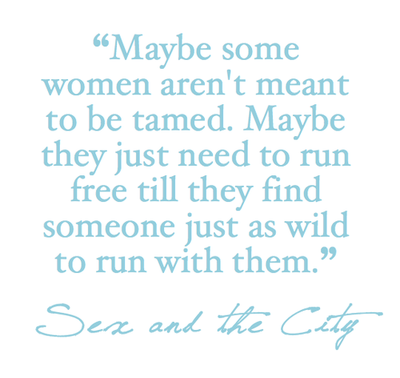 Great quote! You have such fabulous shoes! And that nail color (Over the Taupe) is so pretty! Love the blue shoes! And I could not live without mascara! I realized recently that I spend WAY too much money at the dollar section of Target! I saw the Fancu Nancy stuff the other day and almost bought some for the girls. Will prob go back and get some! Love your "fancy" shoes and bag!